Scientists use external seeding to monitor few-femtosecond slices of ultra-relativistic electron bunches. 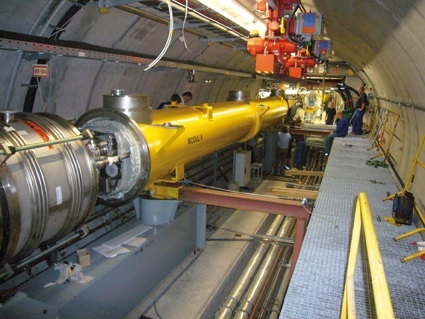 The success of FELs, having a transformative impact on science with X-rays, relies on the capability of analysing and controlling ultra-relativistic electron beams on femtosecond timescales. One major challenge is to extract tomographic electron slice parameters for each bunch instead of projected electron beam properties. A team of scientists has developed an elegant method to derive the slice emittance from snapshots of electron bunches with femtosecond resolution. Mapping of electron slice parameters and seeded FEL pulse profiles is an important ingredient for both, today’s large scale facilities and future compact table-top FELs and creates new opportunities for tailored photon beam applications. The project team headed by Jörg Rossbach from the University of Hamburg, DESY photon scientist Tim Laarmann and DESY accelerator physicist Jörn Bödewadt, reports its work in the journal Scientific Reports. Extension of the standard model provides complete and consistent description of the history of the universe. The extremely successful standard model of particle physics has an unfortunate limitation: the current version is only able to explain about 15 percent of the matter found in the universe. Although it describes and categorises all the known fundamental particles and interactions, it does so only for the type of matter we are familiar with. However, astrophysical observations suggest that the mysterious dark matter is more than five times as common. An international team of theoretical physicists has now come up with an extension to the standard model which could not only explain dark matter but at the same time solve five major problems faced by particle physics at one stroke. Guillermo Ballesteros, from the University of Paris-Saclay, and his colleagues are presenting their SMASH model (“Standard Model Axion Seesaw Higgs portal inflation” model) in the journal Physical Review Letters. The standard model has enjoyed a happy life. 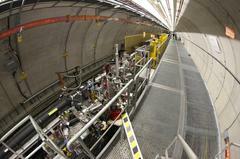 Ever since it was proposed four decades ago, it has passed all particle physics tests with flying colors. But it has several sticky problems. For instance, it doesn’t explain why there’s more matter than antimatter in the cosmos. A quartet of theorists from Europe has now taken a stab at solving five of these problems in one go. The solution is a model dubbed SMASH, which extends the standard model in a minimal fashion. 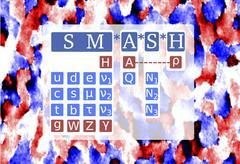 SMASH adds six new particles to the seventeen fundamental particles of the standard model. The particles are three heavy right-handed neutrinos, a color triplet fermion, a particle called rho that both gives mass to the right-handed neutrinos and drives cosmic inflation together with the Higgs boson, and an axion, which is a promising dark matter candidate. 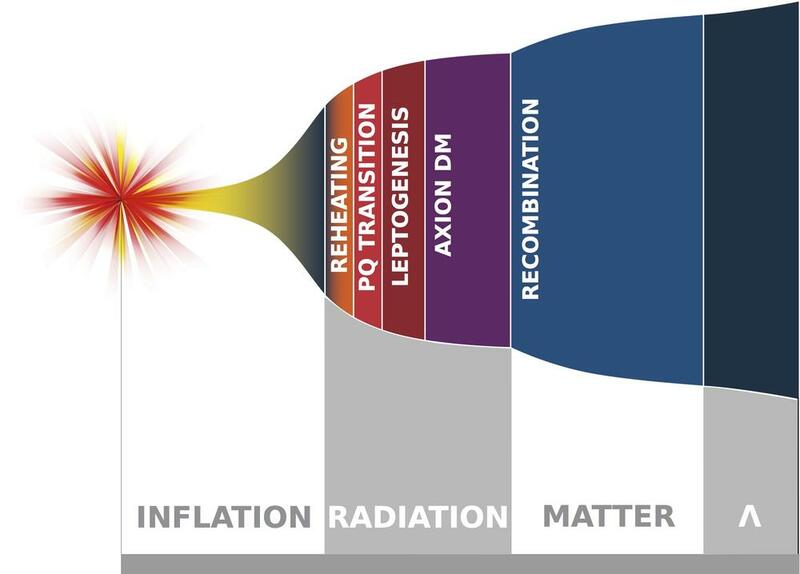 With these six particles, SMASH does five things: produces the matter–antimatter imbalance in the Universe; creates the mysterious tiny masses of the known left-handed neutrinos; explains an unusual symmetry of the strong interaction that binds quarks in nuclei; accounts for the origin of dark matter; and explains inflation. The jury is out on whether the model will fly. For one thing, it doesn’t tackle the so-called hierarchy problem and the cosmological constant problem. On the plus side, it makes clear predictions, which the authors say can be tested with future data from observations of the cosmic microwave background and from experiments searching for axions. One prediction is that axions should have a mass between 50 and 200 μeV. Over to the experimentalists, then. Since Friday, 8 April at 12:14 h FLASH is running in parallel operation for two user experiments, one in the experimental hall “Albert Einstein” (FLASH1) and one in the new hall “Kai Siegbahn” (FLASH2). First official FLASH2 users are the researchers around Sven Toleikis and Andreas Przystawik at beamline FL24 who focus the FLASH2 pulses with the help of a multilayer mirror onto rare gas clusters and study the fluorescence of the resulting nanoplasma as a function of cluster size. Right after the successful start last Friday the first record for this doubled user operation was set: On Saturday, FLASH delivered 4000 pulses per second with up to 140 micro joule (µJ) per pulse to an experiment of Mark Dean et al. (Brookhaven National Laboratory, New York) at FLASH1 beamline PG1 and in parallel 110 pulses per second with about 100 micro joule each for FLASH2 making it a successful start at both ends. The second free-electron laser line, FLASH2, has been realized from 2011 to 2015. Soon after the first successful generation of extremely intense FEL radiation on FLASH2 in August 2014, parallel operation of the two soft X-ray free-electron lasers, FLASH1 and FLASH2, has been established. 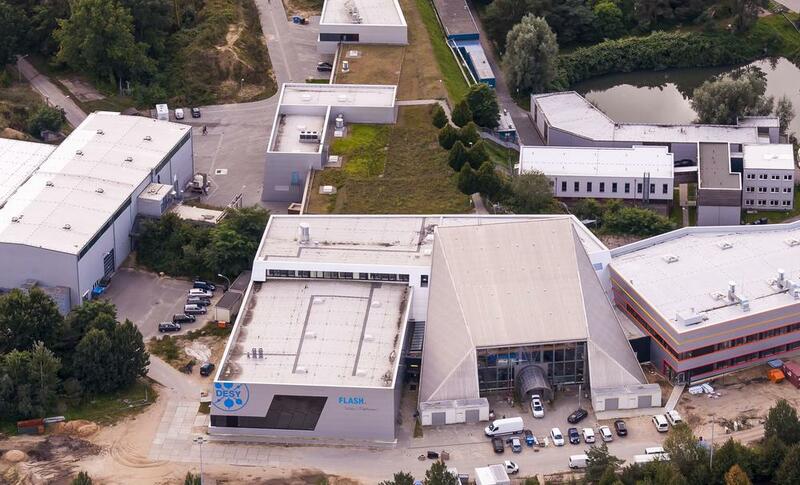 Now, the first FEL beamline in the new hall “Kai Siegbahn” is operational making it possible to run two experiments simultaneously on FLASH1 and FLASH2, both delivering intense, ultra-short laser pulses with user-specific parameters. Click me! First user experiment at FLASH2: fluorescence of Xe clusters excited by the FLASH2 pulses. Left: Nozzle where the clusters exit. Middle: fluorescence in the focus of the multilayer mirror (higher intensity left and right of the centre, since there are more clusters which fluoresce). Right (weaker ‘circles’): fluorescence of the clusters in the incoming unfocused FEL beam. A cooperation between theoretical and experimental physicists has uncovered previously unknown quantum states inside atoms. The results, described in a paper published today in the journal Nature Communications, allow a better understanding of some aspects of electron behaviour in atoms, which in turn could lead to better insights into technologically relevant materials. 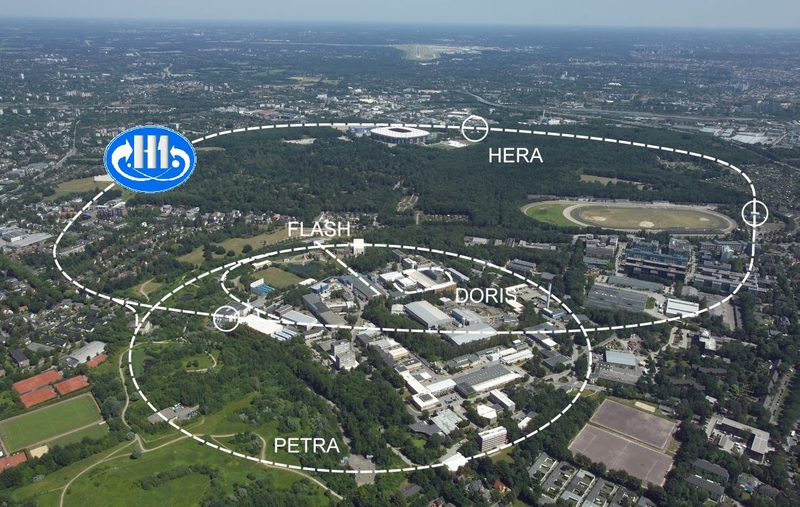 In this study, scientists from European XFEL and the Center for Free Electron Laser Science (CFEL) at DESY examined the unknown quantum states in atoms of the noble gas xenon using DESY’s X-ray laser FLASH. Atoms can develop an electrical charge by losing or gaining one or more electrons. This process, called ionization, was thought to be fairly simple. As an electron departs, it can briefly “hang” between the different locations of electrons in the atom, also called “shells”. In the world of quantum mechanics, this brief pause—lasting less than a femtosecond, or a quadrillionth of a second—is enough to be measured as what is called a “resonance”. “In a resonance, the electrons are ‘talking’ to each other”, says Michael Meyer, a leading scientist at European XFEL. This conversation of sorts can be picked up on a spectrograph, and, in most atoms, it shows up in a very narrow energy range. Yet for the past half century, scientists also have noted a strange resonance in atoms of the noble gas xenon and some rare earth elements. In contrast to other resonances, it covers a very broad energy range. This became known as the “giant dipole resonance”. “There were no good tools to investigate the giant dipole resonance more deeply”, says Meyer. “But extreme-ultraviolet and X-ray FELs present an opportunity to re-examine xenon’s strange property.” Such facilities have the possibility of studying nonlinear processes, or phenomena that are not a direct result of a single interaction—in the case of photoionization the disappearance of one photon, with its energy being transferred to the electron that can thus escape the atom. The extraordinary intensity of FELs makes non-linear processes observable—in this case, a process whereby two photons disappear, simultaneously transferring their energy to the escaping electron. This has become evident when Tommaso Mazza, a scientist in Meyer’s group at European XFEL, and others investigated the ionization of xenon atoms under intense FEL radiation at DESY’s FLASH. In parallel, DESY scientist Robin Santra, the leader of the CFEL theory group, and a student in his group, Antonia Karamatskou, thought there was something more to the giant dipole resonance. They worked off of a forty-year old suggestion that had been largely ignored: that xenon actually had not one but two resonances, and that earlier spectrographic techniques could not distinguish between them. In contrast, X-ray FELs can target very specific energies in the electronic structure of the atom using just two individual particles of light, enabling scientists to see both resonances more clearly. Santra and Karamatskou made calculations describing the energies of the resonances. The data from the experiments performed at FLASH by Tommaso Mazza and others match Santra’s and Karamatskou’s predictions. This is the first evidence of the giant dipole resonance being composed of two other resonances. Both Santra and Meyer think that there is far more to the behaviour of electrons within atoms in general than has been previously understood. The result point to not yet fully understood aspects of how atoms function. Also, the experiment has shown that FELs can be highly sophisticated tools for studying quantum physics. 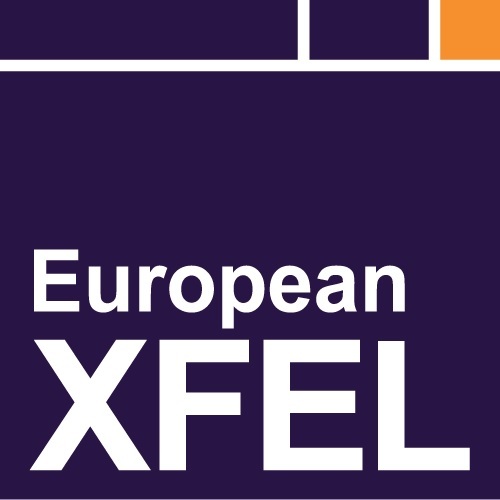 Santra says he expects the European XFEL, which is due to open to users in 2017, to expand these possibilities even further. The research collaboration between Meyer and Santra was initiated and supported by the Collaborative Research Center at the University of Hamburg, SFB 925. Scientists in Hamburg have resorted to a physical trick to persuade entire groups of molecules to perform synchronized cartwheels, virtually endlessly. This technique opens up new opportunities for imaging molecules and their chemical dynamics. Prof. Jochen Küpper and his team at the Center for Free-Electron Laser Science (CFEL) are presenting their findings in the journal Physical Review Letters. Back in 2005, early in the morning of January 14th, first SASE has been observed at DESY’s newly installed VUV free-electron laser. The electron beam has been accelerated to 445 MeV corresponding to a wavelength of 32 nm. In summer 2005, the VUV-FEL turned into a user facility named FLASH. Spectrum of the first SASE signal measured in the early morning of January 14th, 2005. 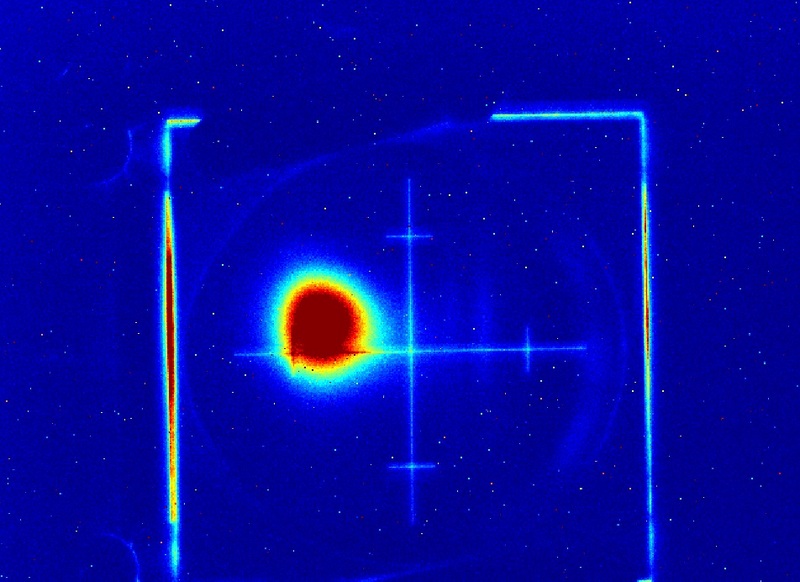 SASE FEL radiation observed on a Ce:YAG screen of the FLASH2 photon beamline. Coming out of a long shutdown to finish up the construction of the new beamline FLASH2, the fifth user period for beamline FLASH1 has started end of February with its first user block. Until April 2015, more than 5000 hours of user experiments are scheduled. Beam time will also be available for accelerator and photon beam line studies as well as for FLASH2 commissioning. FLASH2 saw first beam in March 2014 pushing the beam to the dump for the first time May, 23. Since then, FLASH2 is operated in parallel to FLASH1 whenever possible to finish up the commissioning of beam diagnostics and to refine beam optics. First SASE radiation at 40 nm has been seen on Aug 20, 2014. The next goal is to characterize the SASE radiation, to measure gain length for example for as many other wavelength. Schematic layout of FLASH. Not to scale. The second beamline, FLASH2, is being commissioned and has seen first lasing at 40 nm on Aug, 20 2014 while FLASH1 was at the same time providing 250 pulses long bunch trains for experiments. FLASH, the world’s first soft X-ray free-electron laser (FEL), is available to the photon science user community for experiments since 2005. Ultra-short X-ray pulses as short as 50 femtoseconds are produced using the SASE process. SASE is an abbreviation for Self-Amplified Spontaneous Emission. The SASE or FEL radiation has similar properties than optical laser beams: it is transversely coherent and can be focused to tiny spots with an irradiance exceeding 1016 W/cm2. The SASE process is driven by a high brightness electron beam. The wavelength of the X-rays is tuned by choosing the right electron energy. The FLASH accelerator provides a range of electron energies between 0.37 and 1.25 GeV covering the wavelength range between 45 and 4 nanometers (nm). See the table below for details. FLASH accelerating modules. Seven modules are installed, each module has a length of 12 m.
The FLASH accelerator is equipped with seven TESLA-type 1.3 GHz superconducting accelerator modules. Each 12 m long module contains eight cavities. The 1 m long cavities are made of solid niobium and cooled by liquid helium at 2 K. At this temperature just 2 dgC above the absolute zero, niobium is superconducting so that the acceleration field can be applied with very small losses. This makes a superconducting accelerator very efficient. In September 2010, the FLASH team operated the accelerator with an electron energy of 1.25 GeV producing X-rays with a wavelength of 4.12 nm. For the first time FLASH has generated laser light in the so-called water window with the fundamental wavelength. So far this was only possible at FLASH with the by a factor of thousand fainter third and fifth harmonic of the fundamental. The water window is a wavelength region between 2.3 and 4.4 nanometers. In the water window, water is transparent for light, i.e. it does not absorb FEL light. This opens up the possibility to investigate samples in an aqueous solution. This plays an important role especially for biological samples, because carbon atoms in these samples are highly opaque to the X-ray radiation, while the surrounding water is transparent and therefore not disturbing. Many scientific disciplines ranging from physics, chemistry and biology to material sciences, geophysics and medical diagnostics use the powerful soft X-ray source FLASH. The ultra-short X-ray pulses in the femtosecond range allow experiments which are not possible otherwise. For example, time-resolved observation of chemical reactions with atomic resolution, single shot diffraction imaging, and many others. More than 200 publications on photon science have been published already, many in high ranked journals. In April 2012, sFLASH, the seeding experiment at FLASH, has obtained first seeding at 38 nm. An external seed source of the same wavelength overlaps with the electron beam to seed the SASE process in a series of undulators installed between the accelerator and the FLASH undulators. bunches through a long undulator section. The lasing process is initiated by the spontaneous undulator radiation. The FEL works in the so-called Self-Amplified Spontaneous Emission (SASE) mode without needing an external input signal.The electron bunches are produced in a laser-driven photoinjector and accelerated by a superconducting linear accelerator. The RF-gun based photoinjector allows the generation of electron bunches with tiny emittances – mandatory for an efficient SASE process.The superconducting techniques allows to accelerate thousands of bunches per second, which is not easily possible with other technologies. At intermediate energies of 150 and 450 MeV the electron bunches are longitudinally compressed, thereby increasing the peak current from initially 50-80 A to 1-2 kA – as required for the lasing process in the undulator. A special superconducting 3.9-GHz module built at Fermilab has been installed in 2010 to improve the quality of the accelerated electron beam. The four cavities in this module operate at the third harmonic of the acceleration field frequency. They shape the electron bunches in a way that the intensity of the laser light is higher than ever before. The 27 m long undulator consists of permanent NdFeB magnets with a fixed gap of 12 mm, a period length of 27.3 mm and peak magnetic field of 0.47 T. The electrons interact with the undulator field in such a way, that so called micro bunches are developed. These micro bunches radiate coherently and produce intense X-ray pulses. Finally, a dipole magnet deflects the electron beam safely into a dump, while the FEL radiation propagates to the experimental hall.